I recently had the opportunity to stop in to Aunt Catfish's for a family dinner. 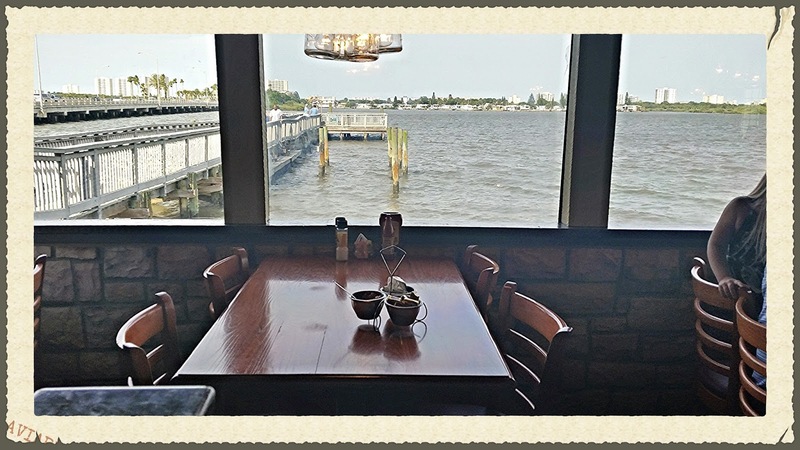 I don't get out to Port Orange very often, so anytime I have an opportunity to dine on Florida's East Coast, its always a great opportunity to share my experiences. Aunt Catfish's is a no nonsense southern seafood joint on the Halifax river, where all the servers are "cousins" and treat you like family. Fresh Seafood is their specialty along with Mango BBQ Ribs and mixed drinks that come in old fashioned Ball Mason jars. All meals also come with the house specialty cinnamon rolls that practically melt in your mouth and are part of the restaurants claim to fame. Almost all platters and entrees come with or have the option to add the Fish Camp Fixins Bar and the Salad Bar to your meal in addition to a side item. 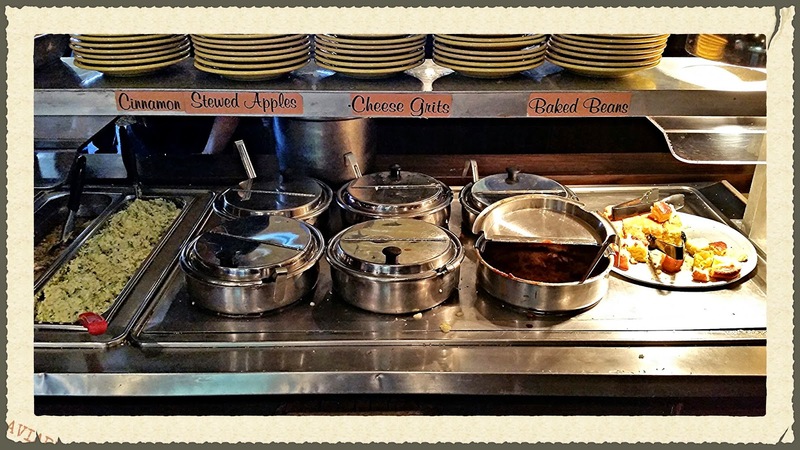 The Fixins bar consists of Cheese Grits, Cornbread, Cinnamon Apples, and Baked Beans. I sampled just about everything and enjoyed the down home southern flavors of all the fixins, especially the cheese grits. The Salad Bar here is also quite impressive. 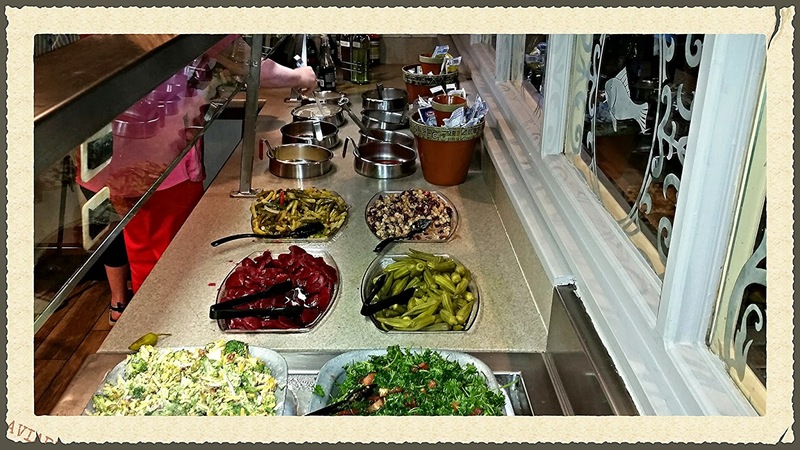 The bar itself wraps around to form three parts that contain a wide variety of greens, mixed salads, fruits and vegetables, and also features home made salad dressings. With the help of my family members I was able to sample a variety of fried offerings including...Shark, Shrimp, Cod, and Catfish. While I enjoyed all the food I sampled, including my own meal, I thought the portion sizes were a bit on the small side. Most platters are either $19.99 for two selections of seafood or $24.99 for three selections including the fixins bar and the salad bar. 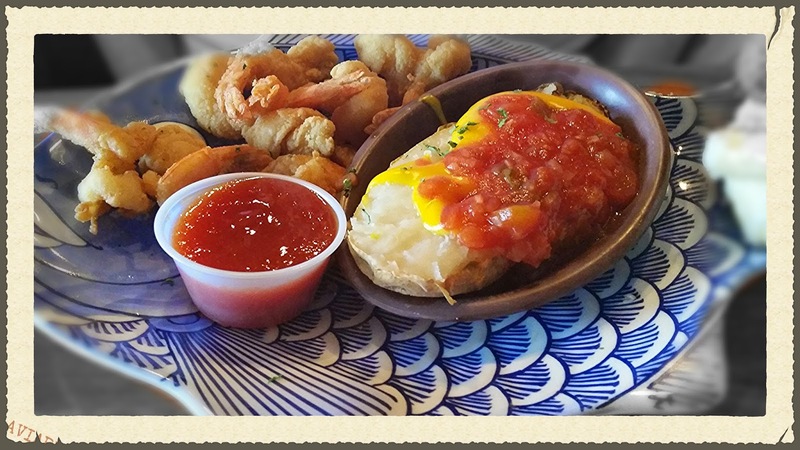 The Fried Shrimp platter was pretty good, and the addition of a Mexican Potato Skin as a side choice was something a little different, but pretty tasty. 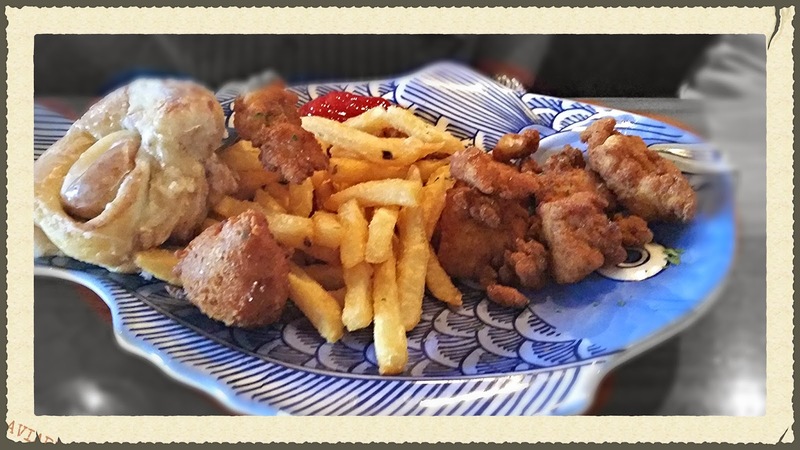 Its hard to find places that serve good Shark, but for a southern fried rendition, Aunt Catfish's Fried Cajun Shark Bites are a real treat. For my entree, I chose the Fried Shrimp and Fried Fish Platter with sweet potato fries as a side, along with the additional Pineapple Fluff. I found the sweet potato fries a bit soggy, and the pineapple marshmallow fluff sounded much better than it tasted. 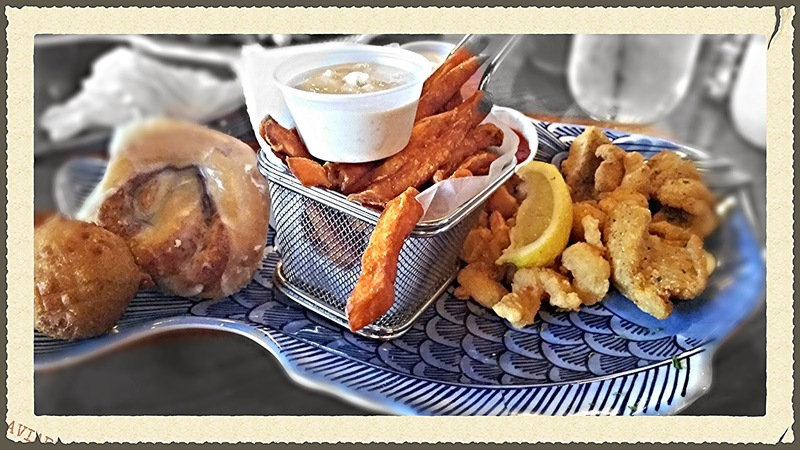 The shrimp and fish were fried perfectly and of course the cinnamon roll was heavenly...I just wish there was more. More everything. Six small pieces of shrimp and what amounted to three or four fish nuggets immediately told me that I had paid more for the service of a Fixins bar and a Salad bar than I had for the seafood. Overall we enjoyed our experience at Aunt Catfish's. Its a unique spot on the Halifax river with scenic views almost anywhere you sit. We found the service to be friendly and attentive. I would say that Its definitely worth a visit if you are heading to Port Orange. My only complaint is the portion size of the seafood that comes in the platters. I would rather have more quality seafood than extra helpings of cheese grits and fried apples.